Apologies to other countries, this post is aimed at New Zealand buyers. 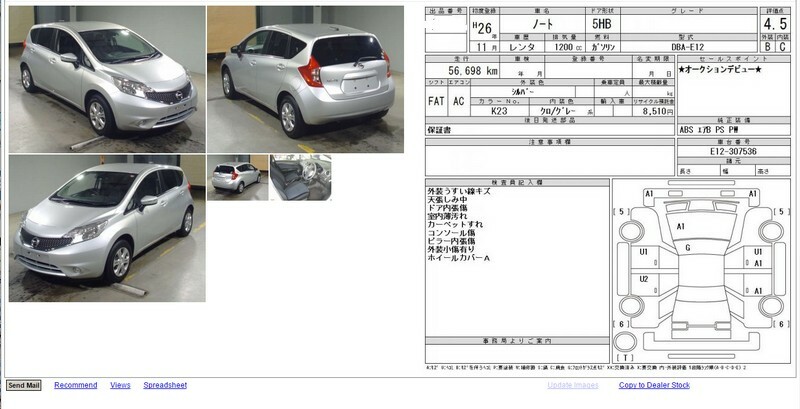 Today a Nissan Note, 2014, (grade 4.5 you can not get much better than that) with 56,000 kms sold in the Japan car auctions for 400,000 yen. That equates to a landed price in New Zealand of $10,104. Now compare that with what is on sale in New Zealand for the same year. $13,990 with 66,000 kms and $14,990 with 54,000 kms. Hmm, I would consider this Nissan note sold in the Japan car auctions today to be most similar to the second of the two. That is a savings of over $4,500.